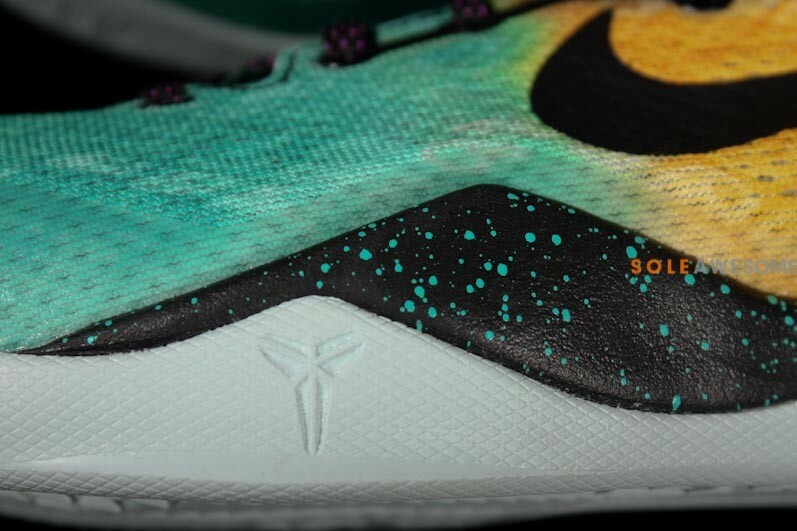 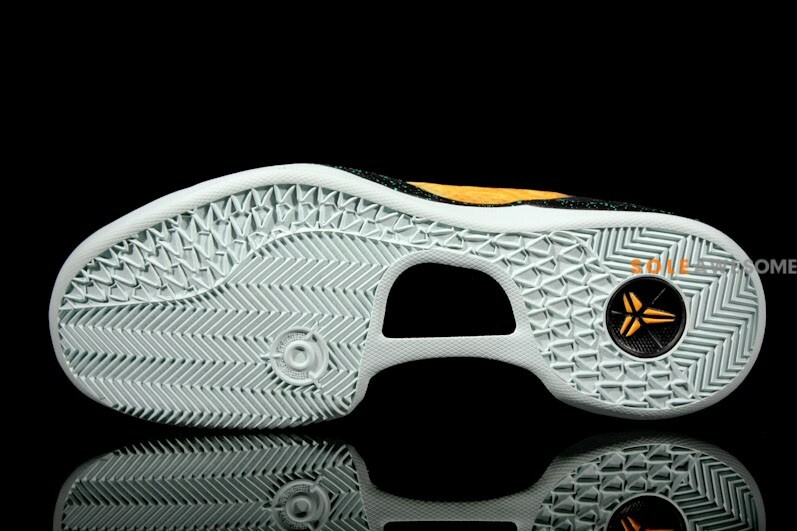 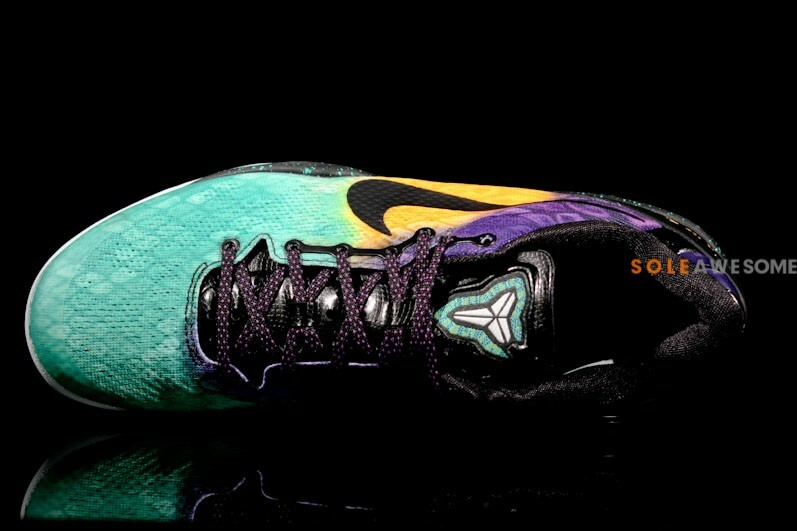 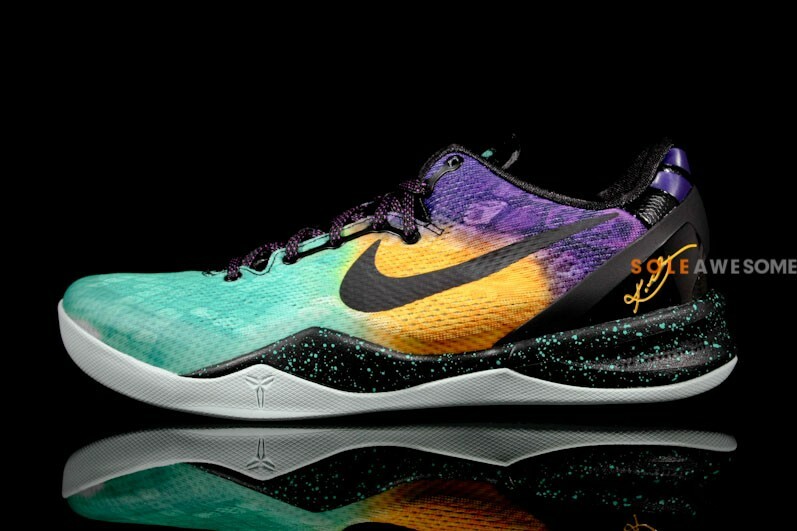 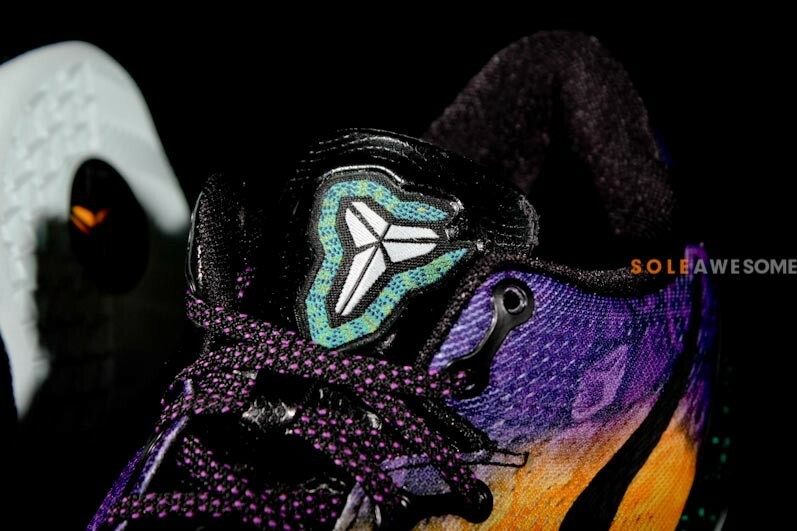 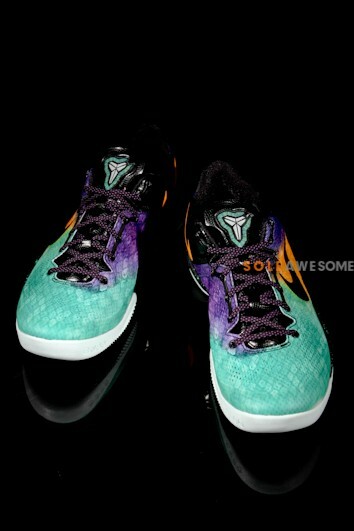 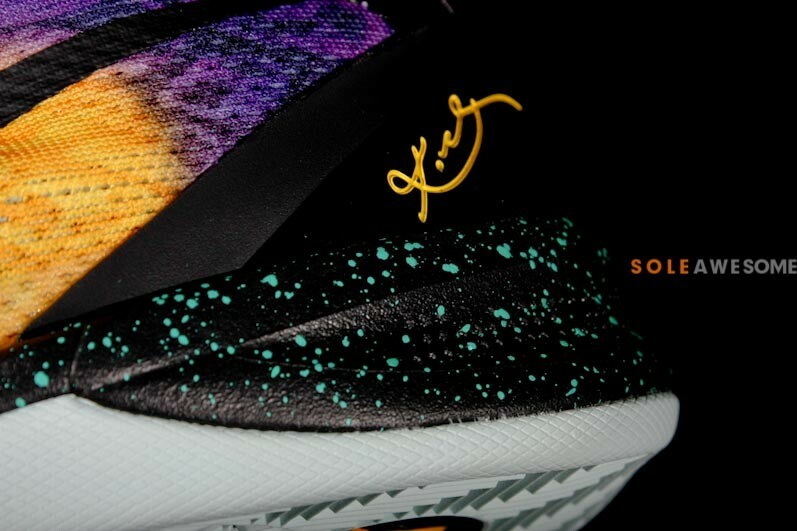 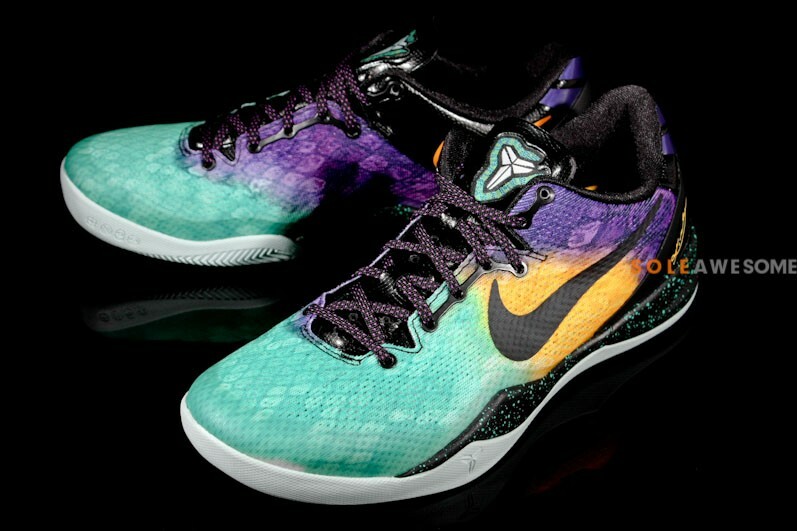 Another burst of energy is on the way from the Kobe Bryant signature line with this upcoming Kobe 8 in an interesting combination of colors. 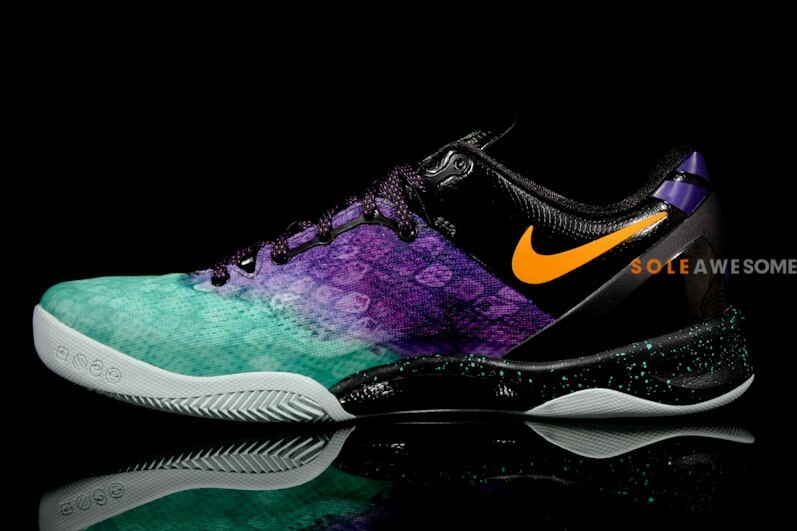 Taking full advantage of the Kobe 8's Engineered Mesh build, Nike Basketball hit the upper with an interesting twist on the Lakers' team colors. 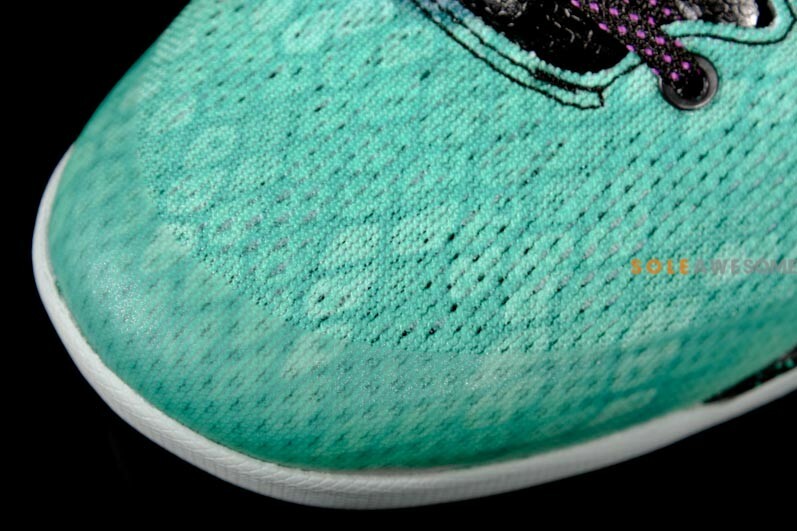 Immediately catching our eye we see an aqua hue taking over the entire toe, fading into a combination of purple and gold over the midfoot and heel area. 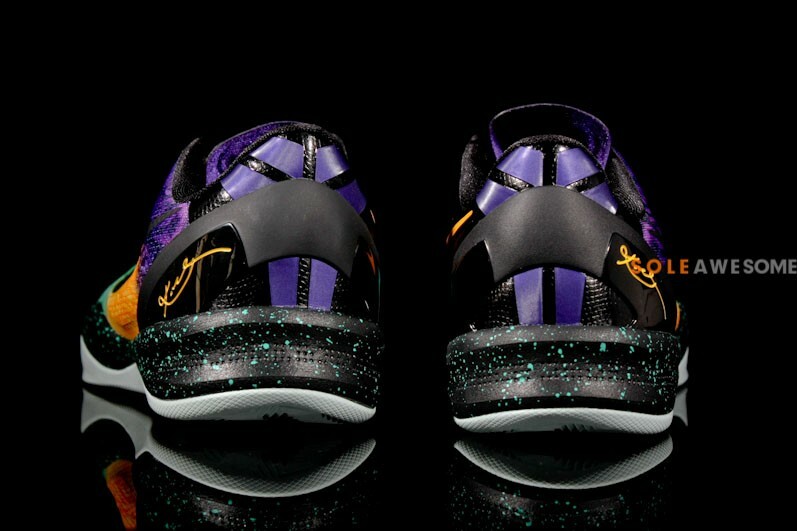 Black hits the tongue and laces, while a solid grey outsole finishes these off down below. 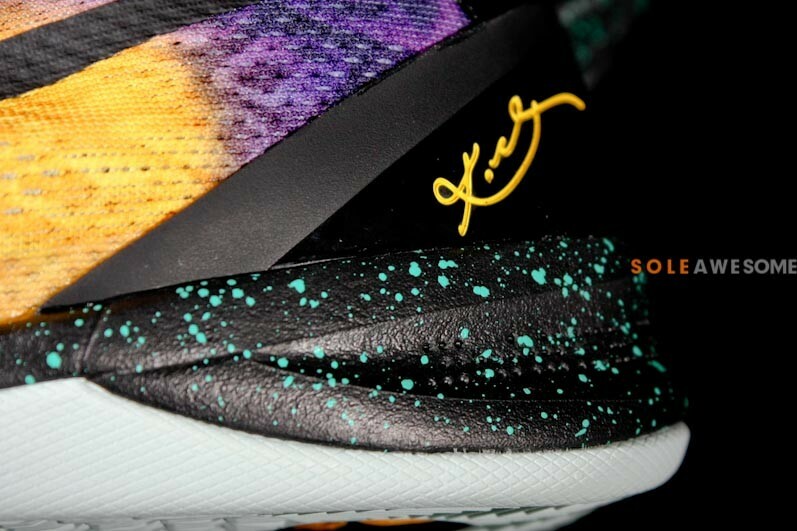 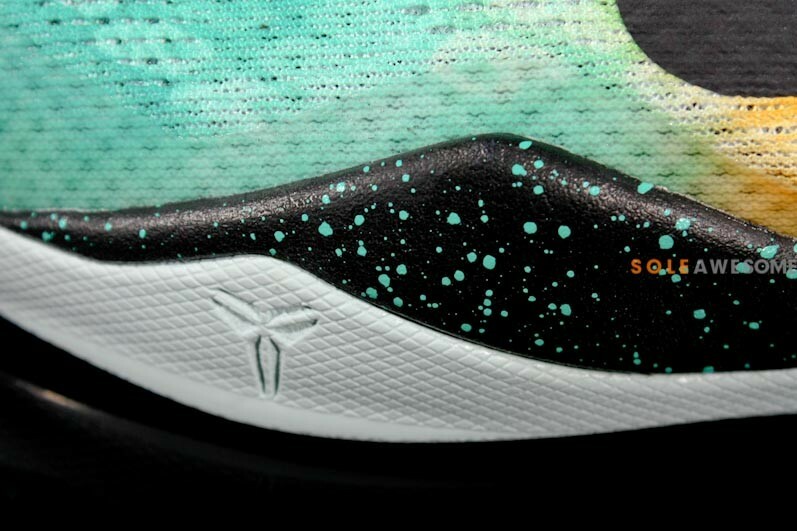 Enjoy a detailed look below, and be sure to stick with Sole Collector for official release details.